Blog Quick Quotes: Friday Challenge 51 - Petaloo Blog Hop Day 5! Friday Challenge 51 - Petaloo Blog Hop Day 5! We are so excited to bring you inspiration with our friends at Petaloo this week! Hello there! Happy Friday! Crystal here for today on day 5 for the Petaloo Hop and I made a gorgeous box using Catalina Island 300 and of course assorted Petaloo beauties. It's also time for our all new Friday Challenge for May! The theme: Add a flower or butterfly to your project! I started by covering my card board box with Catalina Island 300. This is a square box so I cut (4) 4inx2in for the sides, and (1) 4in. x 4in. for the top. Next, I wrapped the sides with Fancy Trims in Burlap and the top with Fancy Trim Burlap in Teal. Once the trimmings were glued, I made a big bow with Fancy Trim Burlap in Natural. I began by decorating the bow using Teal Spring Dahilias, and Spice Dahilias. The leaves are from Spring Darjeeling collection and the tiny little white flowers are Petites in cream. Next I decorated the sides with the Spring Darjeeling collection in teal. 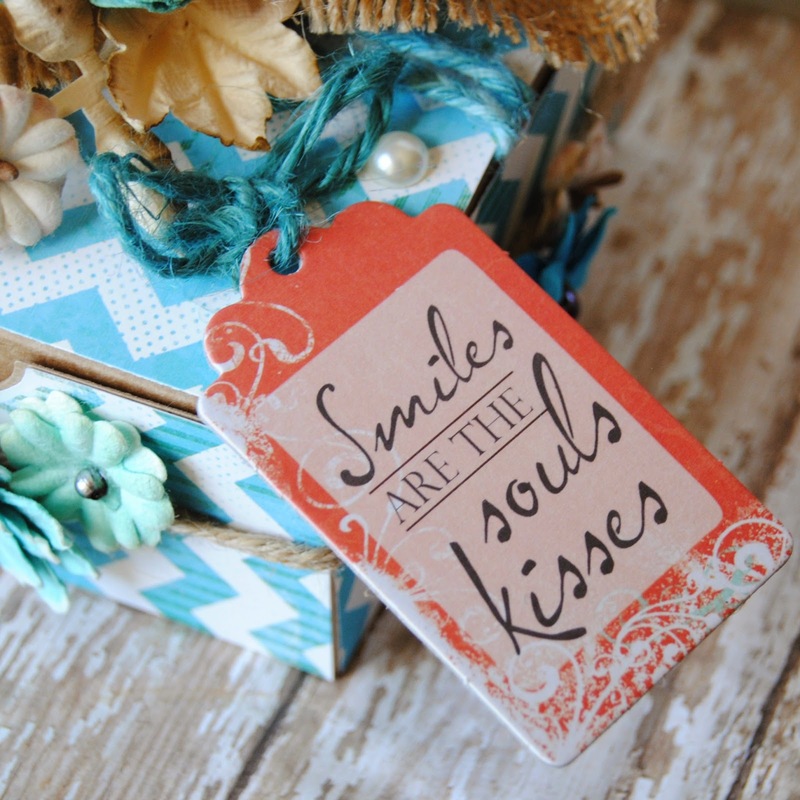 To finish it off, I added some pearls and created a tag from the Catalina Island Chipboard Die Cuts. My box turned out pretty cute and it was so simple to make! Thanks so much for stopping by! Please hop on over to check out the Petaloo blog next! Challenge begins today and is open until 11:59 pm PST on 5/25. Great project, love the box!! Fun looking challenge, you know I'll be in it with my QQ products! the box is beautiful. 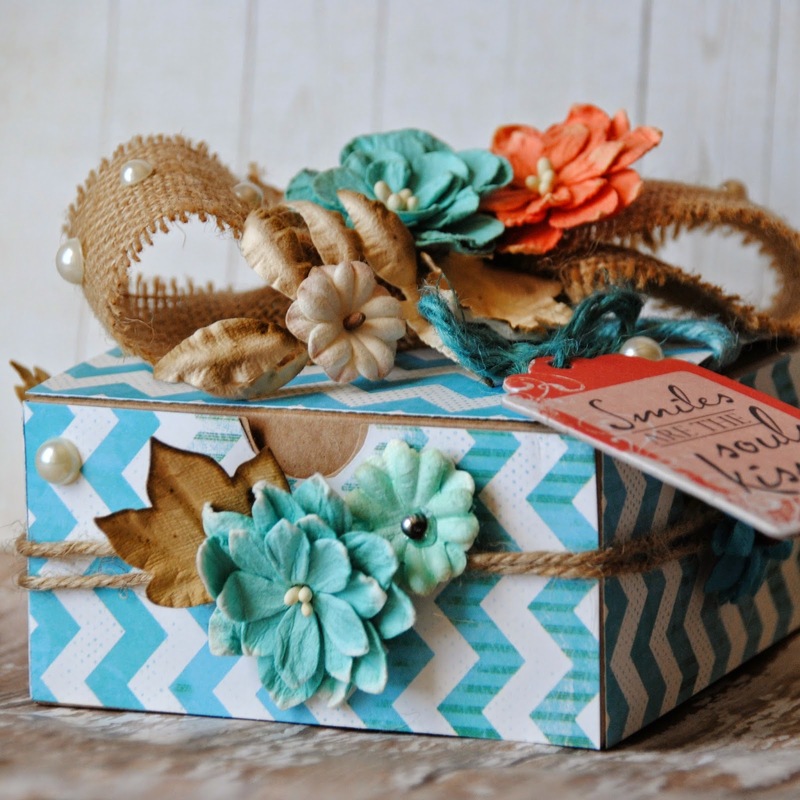 I love the blue of the paper and the big burlap bow really sets it off. thanks for sharing. this has been a great week. Oh my gosh! I wish you could see me, I am just having a fit over this adorable box! The best thing is that I have this paper and I can make this! I love the bow, what a clever idea! Amazing that a simple cardboard box can be transformed into something so lovely! Beautiful creation! Very pretty box. Love that paper and the gorgeous ribbons you used on it. When I saw that paper, I immediately thought of sand, ocean and all the other wonderful things related. Thanks for sharing with us. 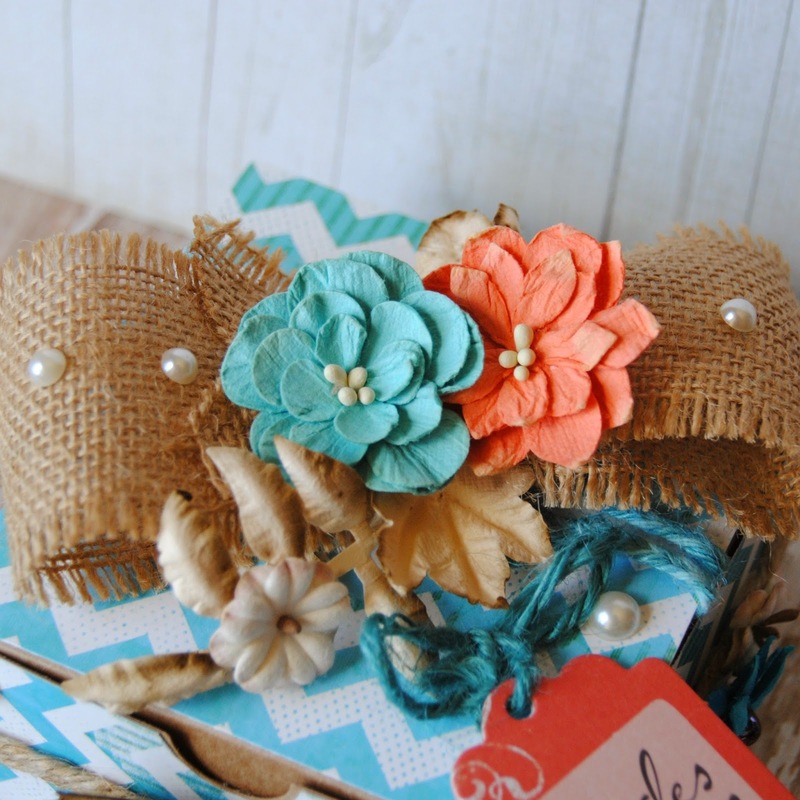 These colors are beautiful together and I love the burlap! Such a cute box! what a beautifully decorated box. 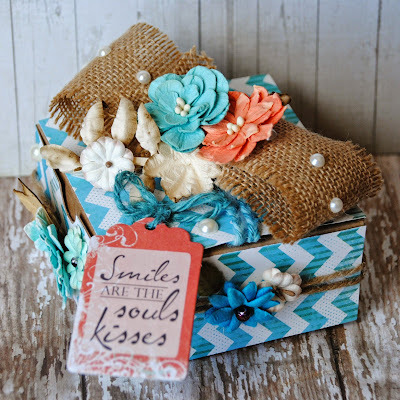 Love the colors and flowers compliment the box so well. the pearls were a great addition to make the box pop. Nice wor. Great bow - how creative! Love the colors! Loving this box!! The colors are fabulous and I LOVE that burlap! !